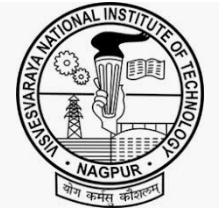 The Department of Chemical Engineering at Visvesvaraya National Institute of Technology (VNIT), Nagpur invites applications for the positions of Junior Research Fellows (JRF). Extraction of high-value products from potato peel. performance evaluation every six month. The candidate should be well versed with handling analytical instruments like HPLC, FTIR, GC, TOC, Surface area analyzer. Candidate should have experience of working in a national level institute for at least one year and should have the experience of working on fruit/vegetable/seed extract. Rs 25,000 p.m. (first two years)and 28,000 p.m. (third year). South Ambazari Road, VNIT, Nagpur 10. Mobile: 09823246329, Email: mandavgane1@gmail.com, Phone: 0712-2801563. The application should reach on or before 18th April 2019. An advance copy of the application should reach by Email. Experimental Investigations and Numerical Assessment of Renal Calculi (Kidney Stone) and it’s Management. B.Tech/ B.E. in Chemical Engineering/Chemical Technology AND M.Tech/M.E. in Chemical Engineering and allied disciplines. Students who are in the final year of MTech/M.E. and expect to finish their degree requirements by June 2019 are also eligible to apply. Knowledge of computational tools like MATLAB, population balance equation, particle sizing techniques, and crystallization will be an added advantage and considered positively. Rs 31,000 p.m. (consolidated) as sanctioned by DST-SERB. For the official notification about the Industry funded project click here and for the DST-SERB funded project click here.